Apple just turned the Apple Watch into an SOS button at WWDC. With watchOS 3, you can long-press the side button to start a call with the emergency services. When you hold the side button, a countdown starts. If you keep pushing, a call starts and you can talk with the emergency services. The Apple Watch knows what country you’re in and will dial the right number. Once you’re done with your call, the Apple Watch will send a message to your emergency contacts with a map of your location. 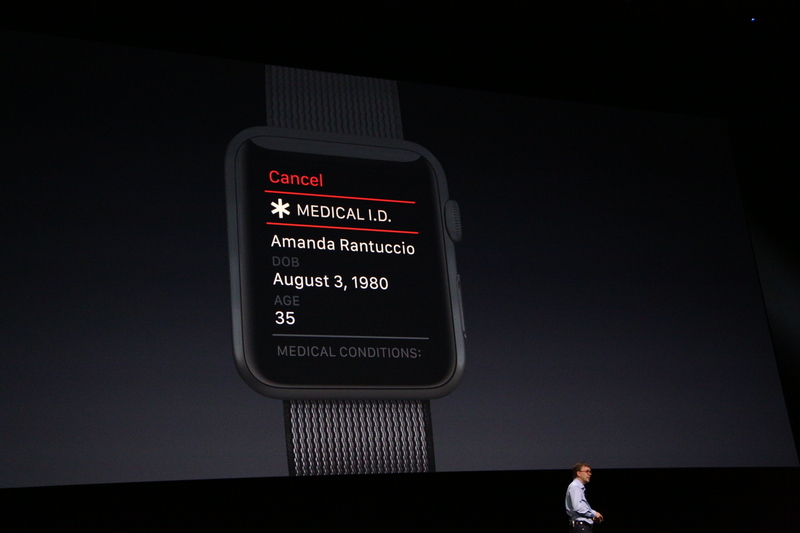 Apple is also turning the Apple Watch into a medical ID bracelet. After your SOS, your watch will automatically start displaying all the medical details you’ve entered in the Health app on your phone. HealthKit-enabled apps can also provide data for your medical details. This could be useful if you are unconscious or otherwise unable to tell emergency responders when they arrive. This is just one of the new features in watchOS 3. The Apple Watch update is a comprehensive update that will make your Watch more useful and faster.